Living in China is great because you can get pretty much anything delivered. But like most things, there is a trick to it. 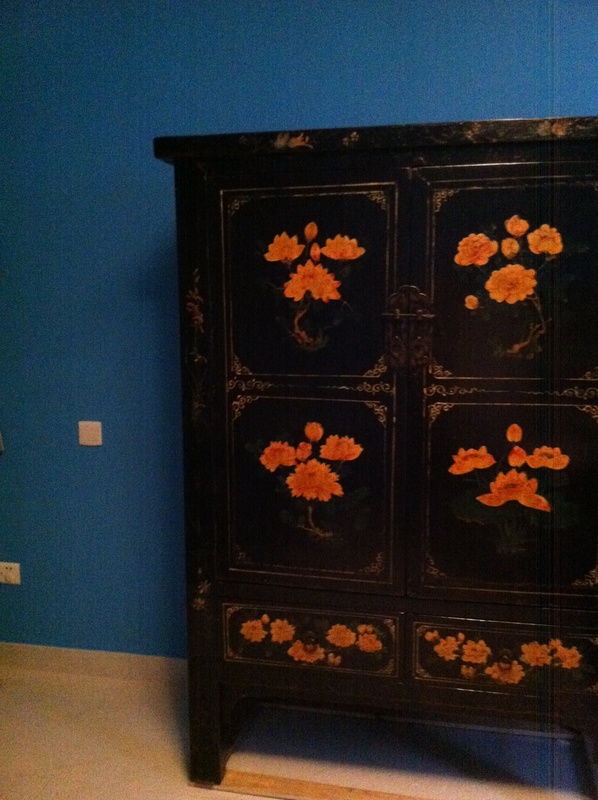 Take for instance the delivery of my beautiful armoire. 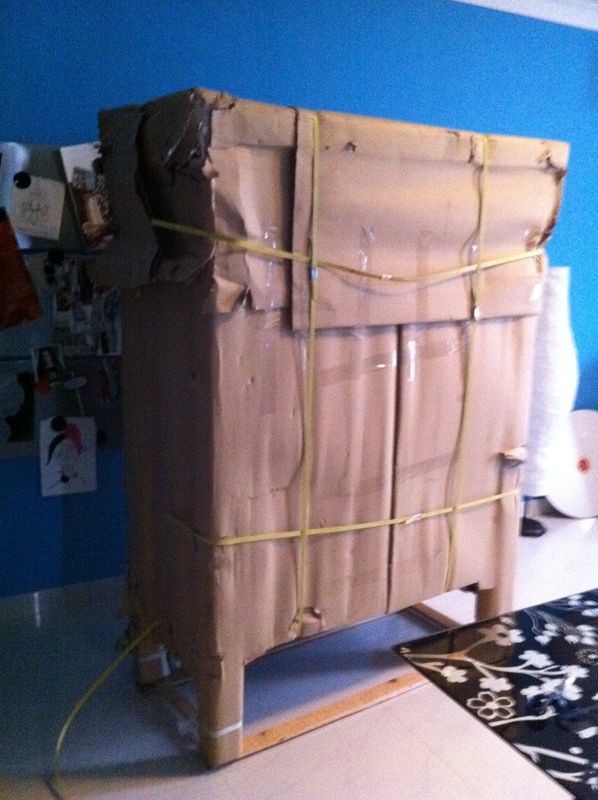 The warehouse where I bought my new love doesn’t deliver – they contract that part out. About an hour after paying, the owner calls up the delivery guy and they tell us it will be delivered tomorrow (Sunday). It’s a perfect excuse for me to stay home and just veg. Great, right? Well, hold on. On Sunday, the call never comes; the truck never gets to my place (even though we called the store and they said the stuff had been picked up). Oddly, I don’t panic. I just go to bed and sleep like a baby. Living in China has taught me loads of patience. So I go to work Monday with the understanding that I (meaning my friend Jen who speaks Chinese) will call the furniture store to see what’s happening. Suddenly, I get a call in the middle of a lesson. The delivery truck is ready to drop off my furniture. Teaching is different than most jobs in that I just can’t drop everything and leave. So a very long story, several phones calls with my TA translating for me, recess duty, me teaching, with my students asking me questions later, the delivery guy actually says that my cabinet is really heavy and he can’t deliver it to my apartment. Ummmm, you are the delivery guy. That’s why I am paying you. It turns out there are two types of delivery people in China. The ones who take it to your apartment, and the ones who don’t. I had the ones that don’t. So now we have Jen’s husband involved because he speaks fluent Chinese trying to get all of this coordinated. Within about an hour and a half of thinking the guy was just going to drop off my armoire at the bottom of the steps, to getting someone to cover my after school activity, I was feeling stressed but things were looking up. I finally get to Jen’s house, her items delivered, so I ride in the delivery truck back to my place, paying two guys off of the street to help me, Yves (les Bleus should have won), and Yitzchak (Jen’s husband) carry it to my apartment… all I can say is, it’s a good thing I absolutely love this cabinet. It just feels like it is home after a long journey away from me. Weird, I know. But that’s the feeling I get. Note to self: next time there is a delivery, make sure to get the guys that go to your apartment. And, I’d better LOVE it. Claire, the cabinet looks fantastic! As you said, it has been waiting for you. And you definitely are indebted to Yves and Yitzchak because it looks quite heavy! Great to have such good friends. I was merely carrying the keys to Claire’s appartment… Yitzhak is the one who did most of the job. But I agree, she is still indebted. ;-).